There's much more to Kate Leeming's pre-Antarctic expeditions than preparation. Her journey in the Indian Himalaya was equally about changing peoples' lives. Energy was draining from my legs. My heart pounded hard and fast, trying to replenish my oxygen deficit. I gulped as much of the rarified air as I could, without great success; at 4,100m, the atmospheric oxygen is at just 11.5 per cent, compared to 20.9 per cent at sea level. As I continued to ascend towards the snow-capped peaks around Sirsir La pass, the temperature plummeted and my body, drenched in a lather of perspiration, started to get cold, further sapping my energy stores. Sirsir La, at 4,828m, is a few metres higher than Europe’s Mont Blanc, and I was just over half way up the continuous 1,670m ascent to get there. This physiological response may have been a reality check, but it was no surprise. 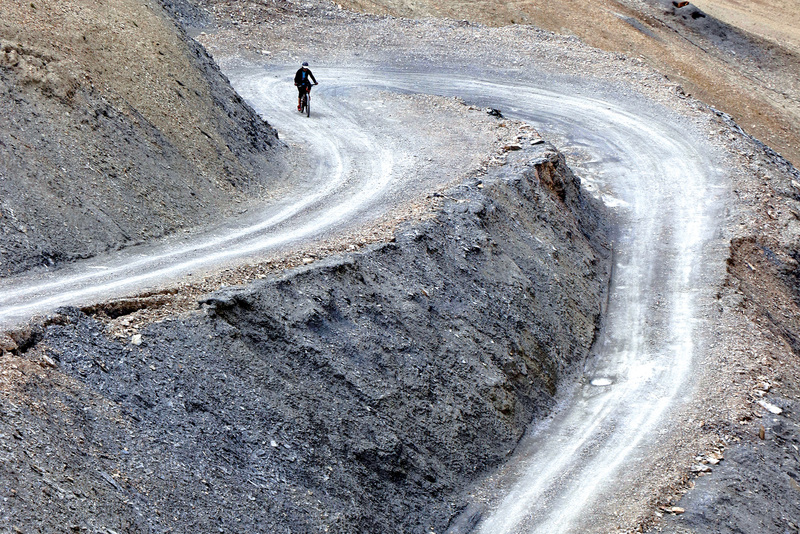 The ride to the remote village of Photoksar on the third day of my altitude cycling expedition in the Indian Himalaya had always loomed as an enormous challenge, and I was not yet fully acclimatised. I drew on experience to pace myself: keeping the pedals spinning in a low gear, trying to relax as much as possible and avoiding unnecessary exertion. My mental approach, as always, was to break the challenge into smaller, more manageable targets – particularly important in a place like Ladakh, the ‘Land of High Passes’, where the altimeter demands respect. I am certainly no masochist. But this was precisely the type of lung-busting challenge that I had planned and hoped for. Breaking the Cycle in Ladakh, as I called this expedition, was the fourth in a series of six that are helping me to prepare for my ultimate project goal, to cycle across the Antarctic continent via the South Pole. Antarctica is the highest, driest, windiest continent on earth. Most of my journey over the Antarctic plateau will be at an elevation of between 2,500m and 3,000m. However, the extreme cold exacerbates the effects of altitude, making it feel as though you are 1,000m higher than you really are. I could, to a certain degree, prepare physically by sleeping at home in an altitude tent and training on a static bike in similarly hypoxic conditions. 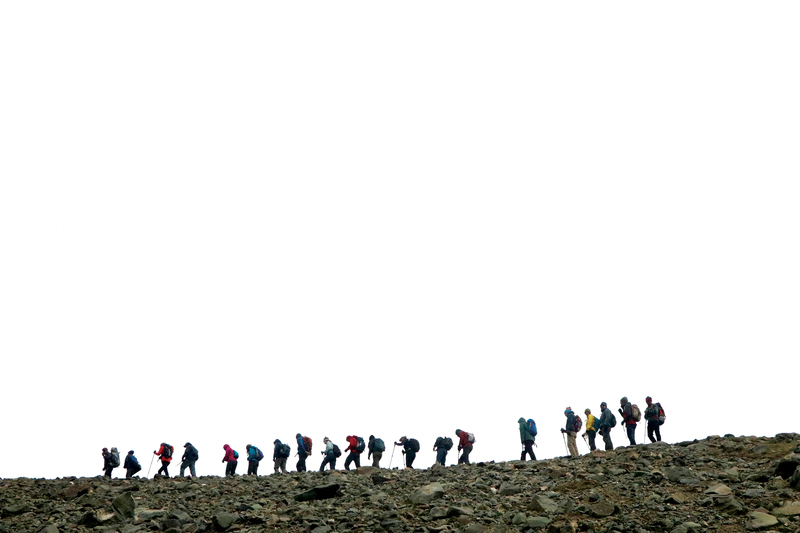 But this will never be as effective (as expeditions such as Ladakh) in developing the specific physical and mental expedition fitness required. Exercising for a month at higher than 3,000m, crossing six high passes (up to 5,364m), and adapting to logistical and cultural obstacles builds greater resilience and inner strength, whilst honing the right mindset. So, expedition fitness for my ultimate goal was arguably my motivation for the Ladakhi journey, as with my five other journeys of a preparatory nature: Mexico’s Baja Divide; Iceland; the Finke River in Central Australia; the Andes and the Altiplano in South America; and the Skeleton Coast in Namibia. However, if I’m being honest, several deeper, more rewarding reasons are driving me. Each of these six journeys are designed to be credible, stand-alone expeditions in their own right, that are not only enjoyable but meaningful. Each expedition springs from my commitment to support the people and places I travel through, particularly with regard to education, poverty and the environment. And every project of mine is shaped by past experiences and the desire to create a new path with an original story that brings my experiences and learnings together in a meaningful way. Satisfying my spirit of adventure, and sharing my adventures to inspire, educate and empower, is at the heart of my motivation. Before 2018, I had twice travelled to Ladakh in the most northerly Indian state of Jammu and Kashmir. I could not help but be drawn to the awe-inspiring high altitude desert vistas punctuated by verdant, productive ribbons of green along the waterways; neither could I resist the region’s ancient monasteries, forts and villages, precariously built into the mountainsides and occupied by Buddhist Ladakhis with gentle and happy dispositions. After my first two visits, I had developed a good taste for the Ladakh and wanted to return to explore further under my own steam: to get inside this peaceful, resilient culture, one of the world’s most sustainable, and learn more about how the region, a place I find incredibly spiritual, fits together. On top of immersing myself in the region, I wanted to help where I could too. And fortunately I had a contact to help me achieve this. About five years ago, I’d met Paras Loomba, an Indian electrical engineer who, after being inspired on a voyage to the Antarctic Peninsula with Robert Swan OBE, founded Global Himalayan Expedition (GHE). GHE is a social impact enterprise, focused on providing access to clean energy, digital education and livelihood generation for remote Himalayan villages. Paras and I shared a lot of common ground and discussed ways that we could complement each other’s work. And so Breaking the Cycle in Ladakh evolved, not only as a 1,200km preparatory expedition for my Antarctic crossing, but also as a humanitarian mission to electrify the 1,100 year old village of Ralakung, the most remote village in the Zanskar region of Ladakh, using solar power to provide light, education and a means of income generation. 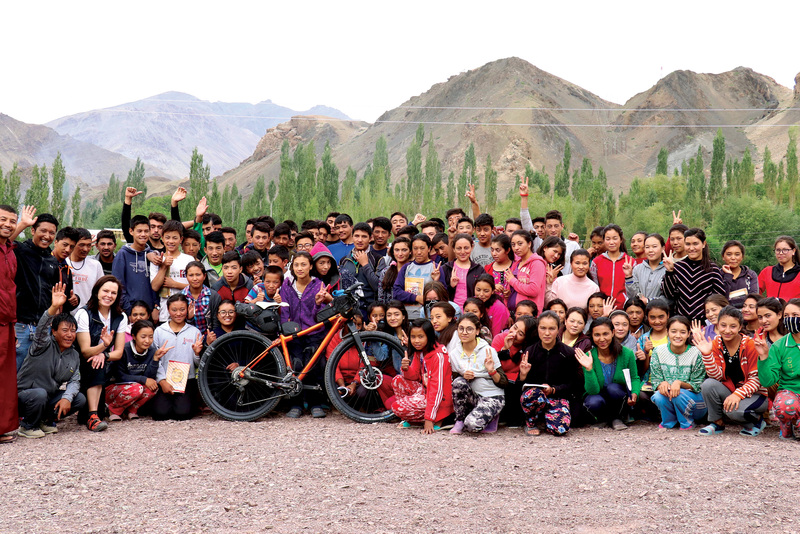 The first phase of the expedition was to cycle 660km from Leh, Ladakh’s capital, to Phe, an ancient village in the Zanskar valley from where the GHE expedition was to start. En route I diverted to visit schools in Khaltse, Wanla and Photoksar, where GHE had recently installed its digital education technology. These Innovation Centres, as GHE calls them, contain a set of highly energy-efficient computers that run off solar power. With no internet access, the computer system is linked to a special hard drive called a RACHEL unit. The device creates a WiFi hotspot to enable student access to a library of learning resources that it contains. The system enables students in these isolated locations to develop computer skills and learn more about the world around them. At these residential secondary schools, I made special presentations to inspire and motivate the students. When, at the end of my sessions, I asked the students about their passions and what they wanted to do when they finished school, their replies were always community-focused. Most students wanted to be doctors, teachers, engineers or tour guides, because these are the professions their community needs most. After completing the rugged diversion to Photoksar, I continued along the Srinagar-Leh Highway to Kargil, the region’s heavily militarised second city, then up the prosperous Suru Valley where the paved road ran out. From here, I headed towards the Zanskar Valley; until 1974, the only access into this valley was on foot, via the frozen Zanskar River in the winter, or across the high trekking passes in the summer. Both of these journeys would take about a week. 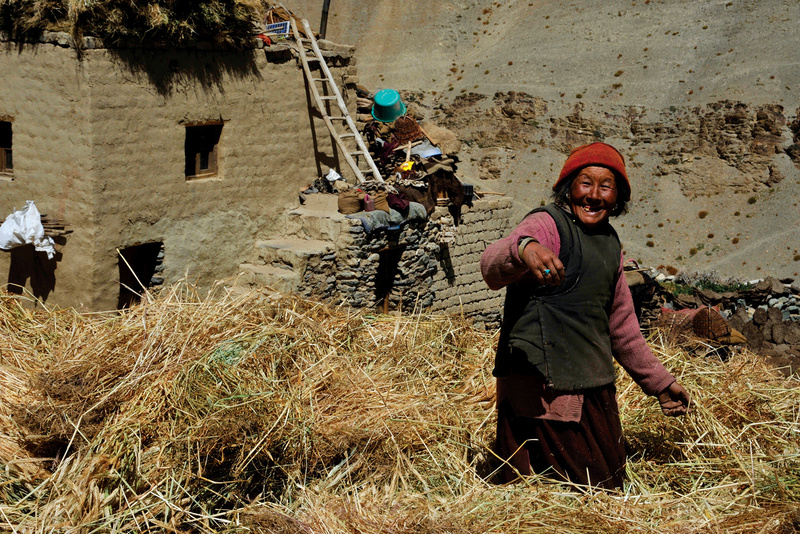 This meant that the communities of Zanskar lived self-sufficiently, virtually cut off from the outside world. Contact to the outside world is still very limited. The bumpy, stony gravel road that I followed is still the only motorable link to the region, and it’s blocked by snow on the high passes for seven months each year. Internet communications are limited to three cyber cafes in the Zanskar region’s capital, Padum, that operate spasmodically. Citizens are aware of their limited healthcare, education and economic stability. Local leaders say the region is more of less forgotten by the Indian government. But they’ve been proactive in their attempt to remedy the situation, coming to the GHE to receive a ‘leg up’ to improve their quality of life for a brighter future. In Phe, I rendezvoused with the GHE expedition and began the second phase of my journey. Before setting off on the two day trek to Ralakung, the 1,100 year old village to which the GHE was to provide electricity, the team installed Innovation Centres and I made another presentation to the older students in two schools in the villages of Skiagam and Phe. 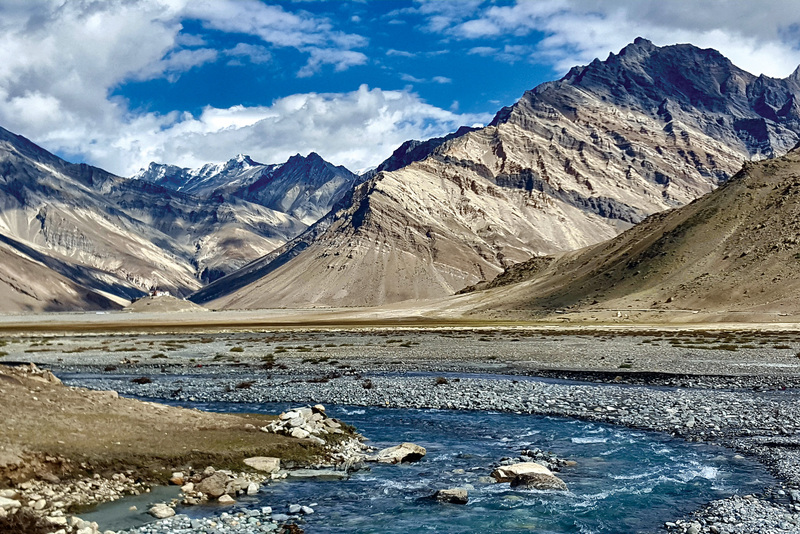 The expedition to the most remote village in the isolated Zanskar region involved 60km of trekking, taking two days each way to traverse two passes, the highest being 5,226m. This was GHE’s seventieth village electrification project, a triumph in organisation and efficiency, where goodwill and teamwork melded seamlessly with community spirit under testing circumstances. The group included a team of GHE experts, 18 participants from nine countries and the villagers themselves, who helped to transport the hardware and equipment over the mountains. Despite their concerns, the Ralakung villagers were determined to continue living where they lived, carrying on 1,100 years of tradition. So long as they could have better access to healthcare and education for their children, they were content to continue living a simple, self-sustaining lifestyle here, never longing for wealth or material goods. I can look back and say with a smile that they are a resilient bunch, somehow managing to maintain their infectious joie de vivre while coping with everyday hardship. I think that, during the journey, every team member gained insight into what’s important, and no doubt made friends for life. A day after returning with the group to Leh, I set off on the third phase of my expedition, to cycle the region’s highest motorable passes and explore some of its famous high altitude lakes and cultures (such as the Changpa nomads that roam the open plains around Tso Moriri). This was also a test run to check out a brand new route I have designed for World Expeditions for 2019. The trip I devised, from Leh, begun by following the Indus River eastwards and over Namshang La pass to Tso Moriri, India’s highest freshwater lake at 4,524m. September snowfall affected some of my path, but I was still able to cover most of it by bike, the highlights being: Khardung La ( 5,364m), Chang La ( 5,359m), Pangong and Moriri lakes, and the Shyok and Nubra valleys. The course is epic. Challenging work, but immensely rewarding. Breaking the Cycle in Ladakh was certainly a fulfilling and successful experience in terms of honing expedition fitness for Antarctica, and on philanthropic and educational fronts. Making Breaking the Cycle South Pole or any one of these preparatory expeditions happen is always a struggle, requiring much sacrifice – to generate the financial support, bring together a complex set of logistics, create effective educational and humanitarian missions, and to communicate and promote what I do. I could choose an easier path – but I think it is, in fact, the extra effort that creates the greatest reward. I have two remaining preparatory expeditions planned before Antarctica at the end of 2019: the Andes and the Altiplano in South America, and the Skeleton Coast, a sand cycling expedition along the infamous Namibian shoreline. Particularly exciting is the fact I’ve introduced GHE to Karibu Safaris, a small tour operator in northern Namibia that works to support poor local communities. We are now all working together to set up pilot programs, bringing education and solar power to those in need. But I’ll save that story for later chapters!